As a business with office premises – you may find that from time to time, you need an office refresh. Maybe you may need to move to another office with a bit more space, or a more convenient location. During this changeover, you’ll need a reliable method of disposal for your unwanted office items. Cue… skip hire. Waste that can be thrown in a skip used for clearing out office premises can include most items, but what’s important to note is for most skip hire there can be an inability to throw away electrical equipment such as old monitors and other electrical items utilised by desk workers. Valley trading is different, we can collect all of these items at no additional charge. For practical and legal reasons, computer monitors and towers must be disposed of safely in a registered Waste Electricals Site (WEEE) that can be mixed with other items of general waste in one of our hired skips. It’s important to remember that not all skip hire services allow this, by mixing WEEE with the general skip, some could result in your skip being unable to be collected. The type of office equipment you can dispose of in one of our skips includes old monitors and towers and most office furniture, including chairs, desks, and other physical office literature. This type of equipment can accumulate over time and clog up available room that could otherwise be used for another workspace. With many different sizes available – making sure you’re hiring the right size for all your needs is essential when planning an office clear out. You wouldn’t want to invest time and effort into a clear out and run out of space in your skip – our handy guide will ensure you have the right size for your needs. For smaller clear outs, a mini skip or small skip, the 3yd, would perhaps suffice – which can fit anything up to 35 refuse bags. The mini skips hold 25 bags, perfect for an even smaller space. For bigger clear outs, such as a refresh or an update of office furniture, you may need a larger skip, the 12yd to accommodate larger unwanted, bulky furniture such as desks and chairs. The bigger skips for hire at Valley Trading can hold up to 80 bags of rubbish. 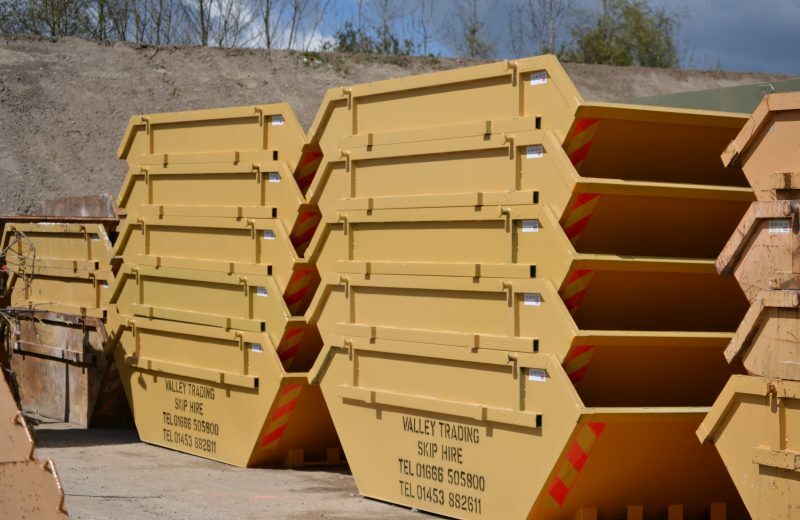 For more information on the sizes of skips for hire, view our range of skips. 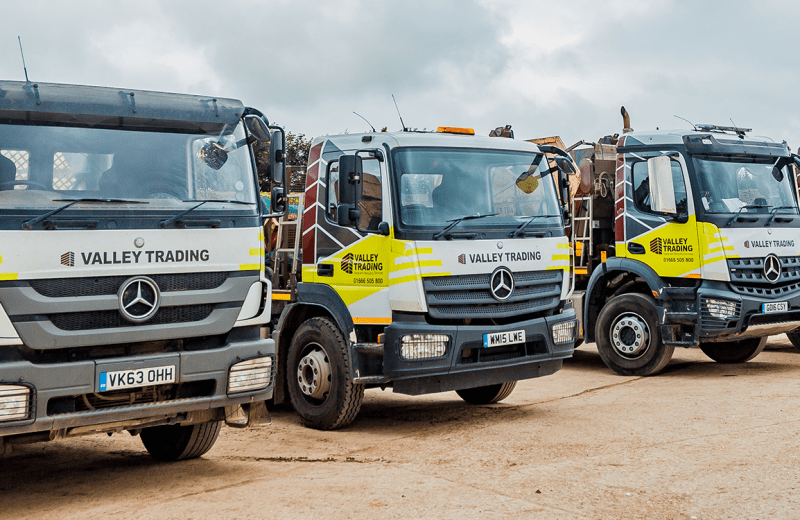 At Valley Trading, we pride ourselves on our professional and established service – operating from our fully licenced recycling centre based in Tetbury, Gloucestershire. Currently, we service areas in and around Swindon, Cheltenham, Bath, Gloucester, North Bristol, Tetbury and Cirencester. Our services include pickup and delivery, and, with over 30 years experience – you can be safe in the knowledge your waste is being taken care of effectively. To find out more about our range of services, or to get a quote for a skip that will clear out your office premises, contact us today. You can also call us on 01666 817665 or email info@valleytrading.co.uk.